SIKH ART FROM THE KAPANY COLLECTION, Edited by Paul Michael Taylor & Sonia Kaur Dhami. The Sikh Foundation & Smithsonian, USA, 2017. English, colour illustrated, hardcover, pp 320. ISBN-10: 0970036345, ISBN-13: 978-0970036346. Sikhs the world over have been experiencing an interesting new phenomenon in the last few decades: the emergence of the collector of Sikh Art. The term Art as used here, of course, includes works of art in various media, as well as antiques and historical and cultural artifacts which capture the steady development of a thriving five-century-old community of nation builders. 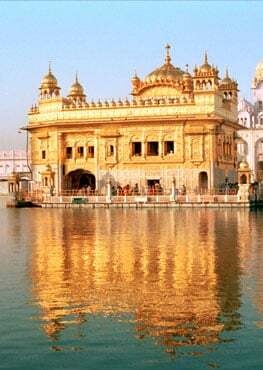 Such collections, no doubt, have existed since the blessed times of the Gurus, but mostly in the hands of families who were the recipients of gifts and mementos from the Gurus themselves, or the jathedars, sardars and maharajahs thereafter, as recognition of seva, service and piety. Most of them, some quite substantial, remain in the hands of the descendants of those thus rewarded -- sadly, many of them still secret or secretive, unrecorded, unresearched and undocumented. But the last three decades have witnessed a uniquely new, two-pronged interest throughout the length and breadth of the diaspora: the birth of the art collector amidst the nouveau riche, and the middle-class purchaser of Sikh art and artifact for display at home. All of this, curiously triggered by the cataclysmic tragedy of 1984! None of the previous watersheds in Sikh history have seen anything similar: the two Holocausts of the 18th century, the Fall of the Sikh Empire and the foreign occupation of Punjab by the British, or the Partition of Punjab and the subsequent occupation of the two halves of Punjab by India and Pakistan. True, the four decades of Ranjit Singh’s rule in the first half of the 19th century saw an extraordinary support for, and the growth of, the arts under the Sikhs, but there was no prolonged period of peace, stability and consolidation either before, during or after it to allow the collection and preservation of the resulting ’products’ while the community almost continually lived on the proverbial ’horse-back’ to ensure survival. ii. the mushrooming of an ever-growing crop of Sikh artists who are actually able to make a living from their respective passions and vocations. Each new appearance of a Sikh historical item in the collector’s market is lapped up with lightening speed, more often than not at twice or thrice the previously estimated value. And the hunger for the contemporary works of the ‘post-Modern’ British Singh Twins or the Canadian prints from Kanwar Singh’s mixed media digital paintings - to take but two examples - remains unabated. It is therefore time that the role of one specific couple - the recently widowed Narinder Singh Kapany, a scientific genius in his own right, and his wonderful wife, the late Satinder Kaur Kapany, is recognized, honoured and emulated. They not only exemplify but also have set the trend for this brave new world. They have been at the vanguard of the movement to start and institutionalize the process of locating and identifying, collecting and preserving, recording and documenting, all that has been produced for, by or of the Sikhs - daringly, often in the face of sneers from those good souls who, from their own lack of sophistication, saw it as an act of elitism and dismissed it in typical Punjabi cavalier fashion. 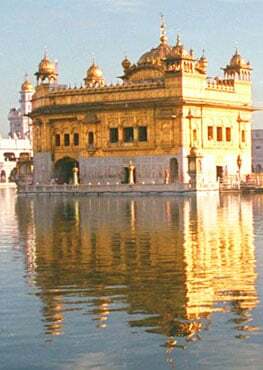 The two, based in California, have used their resources, connections and influence -- and their ever-growing private collection -- to establish centres of Sikh studies, museum and art gallery presence of things Sikh, and facilitate Sikh exhibits and exhibitions around the world. The new “coffee-table”, edited with finesse and professionalism by Smithsonian’s Paul Michael Taylor and The Sikh Foundation International’s Sonia Kaur Dhami, and titled “Sikh Art From The Kapany Collection”, is a long overdue account of the journey undertaken by the couple and the continuing efforts of Narinder Singh today. While focusing on, and limiting itself to the contents of the Kapany collection, whether still in Narinder’s possession or currently on loan or donation to various museums and galleries, the study does not fall into the trap of concentrating on the so-called ’high’ or ’fine’ arts, but instead encompassing all manifestations of art and cultural expression which mark the progress of a people forever on the move. It also shuns the exclusivity of the so-called ‘high-brow’ critic or appraiser in favour of the aficionado who understands cultural footprints, or is even a direct consumer of all that constitutes a community’s heritage and treasures. Informative essays in the book are by scholars Jean-Marie Lafont, Mary-Ann Milford-Lutzker, Cristin McKnight Sethi and Paul Michael Taylor; academics Nikky-Guninder Kaur Singh, Gurinder Singh Mann, Pashaura Singh, Mohinder Singh, Henry J. Walker and Nirvikar Singh; collectors Bhupinder ‘Peter’ Singh Bains (a la Duleep Singh) and numismatist Jyoti M. Rai; enthusiasts Kiran Kaur Kapany (also, a family member), Gurnam Singh Brard and Navtej Singh Sarna. Rich illustrations representing various aspects of the Kapany collection abound: George Richmond’s iconic oil on canvas depicting Rani Jind Kaur rubs shoulders with Sukhpreet Singh’s marvellous contemporary scenes of life in Punjab, Watercolours of Sikh Chieftains vie with Alexis Soltykoff’s lithographs, Emily Eden’s classic chromolithographs of Sikh Raj personages are balanced by Punjab’s popular calendar art, ornate weaponry stands side by side with coins from the Sikh period and modern philatelic specimens … the entire gamut of Narinder Singh’s and Satinder Kaur’s vision is grandly captured by this exquisitely produced volume. I have enjoyed this book immensely and welcome it as a fitting tribute to Narinder Singh and Satinder Kaur’s life work in the field of art and culture. I hope many will avail of its delights. It entertains and educates. And it will invariably teach us how to spend our money in some new and meaningful ways -- just as the Kapany’s have done with theirs. The Book can be purchased by CLICKING here, or from Amazon.